These days, when hit with a layoff, more people are deciding to take matters into their own (flour-covered) hands and start bakery businesses from scratch. These three entrepreneurs turned lemons into lemon snaps when layoffs forced them to rethink their work futures. Here's a look at their career paths -- along with some advice for anyone considering sweets as an encore career. Debra Kabarsky, 50, North Tustin, Calif.
Then: Worked in the home-building industry for 22 years; laid off in January 2011. Now: Owner of The Last Crumb, a cookie and baked-goods business that sells at farmers markets and to corporations, businesses and individuals online. How she got started: After being laid off, Kabarsky applied week after week for positions in the new-home construction industry but never got any responses. Discouraged and bored, she brought up the idea of opening a sweets business to her husband, Mark, who was supportive. Initially thinking she would bake out of her home, she soon discovered that California law prohibits it. "I was devastated, but then found out about co-op kitchens," Kabarsky says. "They are costly, but they make it possible for someone like me to start a business without putting up a huge initial investment. That was the first of many hurdles I had to get over." Kabarsky, who rents space in a commercial kitchen in nearby Orange, Calif., delivers cookies to local businesses, fulfills online orders from her website and sells her delicacies at a farmers market once a week. She initially invested approximately $2,700 to launch the business and website. Biggest challenge: "What takes the longest is applying to be a California corporation, so I ended up setting up as a sole proprietor, and I'll convert my company to a corporation this year," Kabarsky says. "Of course, the marketing will be ongoing and never-ending." Advice for other bakers: "Be prepared to put a lot into the business initially, with very little to no return," she says. "It's all about mass quantity, since the prices on baked goods are low in comparison to other manufactured products. You're never going to make a living selling a dozen here and there." Best part of the job: "I love that my customers at The Irvine Company [a real estate investment company] call me 'The Cookie Lady,'" she says. "But my favorite thing is when someone tastes my cookies and it brings back memories for them -- the taste reminds them of their childhood or their grandmother or mom -- and they smile. That makes my day." All-time favorite dessert item: "Anything peanut butter. And I love shortbread," she says. Baker who inspires her: Meg Ray, founder of Miette, and Dorie Greenspan, author of 10 cookbooks and founder of online CookieBar and Tuesdays with Dorie. What's next: Kabarsky's goal is to eventually open a storefront location. "This year, I plan to expand my services into more companies and get my products into small stores, coffee and tea shops, restaurants and wine bars." Nicole Monaghan-Whittaker, 37, Plymouth, Mass. Then: Owner's assistant at a real estate firm; laid off in March 2011. Now: Owner of The Kake Place, a home-based bakery business that specializes in cakes and cupcakes (including vegan and gluten-free options) and sells primarily through a website and word-of-mouth referrals. How she got started: In 2007, she took a cake-decorating class at a local crafts store with her then-10-year-old daughter. "I started decorating birthday cakes for my children, and soon friends and family started asking me to do cakes for them," Monaghan-Whittaker says. The idea took hold, but it was a few months before the business was up and running. 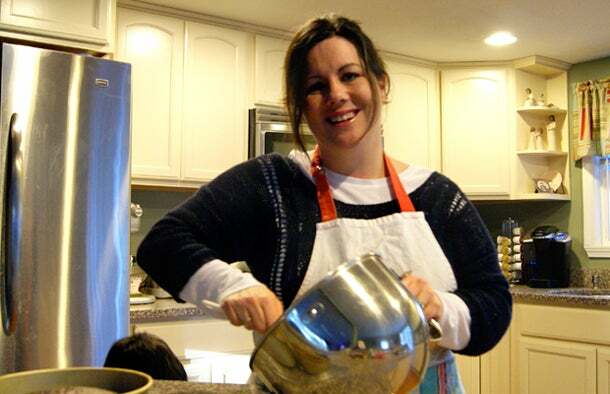 She learned she could bake from her Massachusetts home, but had to obtain local board of health approval and a ServSafe certificate, in addition to town food and allergy certificates. "There was a fee for everything," she says, "ranging from $10 to $150, and the cost of ingredients, supplies and getting my name out there." To that end, she started a Facebook page and a website and launched the business in April 2011. She had most of the baking equipment and supplies in hand and bartered for help designing her website, so her startup expenses were minimal. Biggest challenge: Adjusting to being a parent and running her own business at the same time. 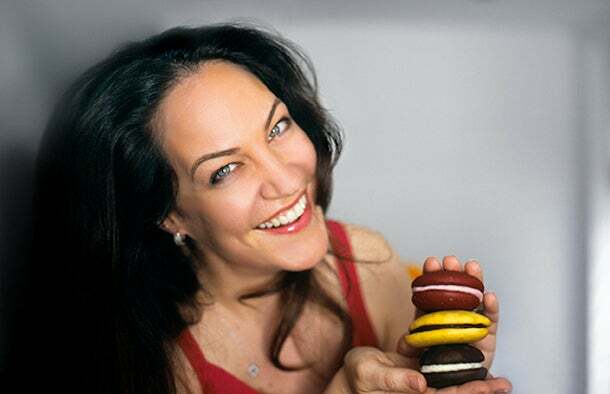 Advice for other bakers: "Everything truly does happen for a reason," Monaghan-Whittaker says. "Use this experience to do what makes you happy. No one else is holding you back now." 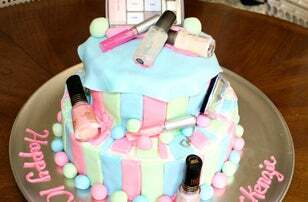 Best part of the job: "Seeing the reaction of my customers when they see their cake," she says. All-time favorite dessert item: Anything with cheese. She loves cheesecake and cream cheese frosting. Baker who inspires her: Getting to see the interest in her children (Kaleigh, 15, and Wyatt, 3) inspires her more than anything else. What's next: She wants to keep her small business growing so she can open a storefront in downtown Plymouth. Then: Executive assistant to the general counsel at a hedge fund; laid off in March 2008. Now: Baker and co-owner of online bakery WannaHavaCookie. How she got started: First, she created a focus group of friends, who provided feedback and handed out order forms to potential customers in her area. "Albeit very small, our focus group provided a real-life market for my small-batch, handmade approach," Angebranndt says. Next, baking out of a rental kitchen in Queens, N.Y., she launched a simple website with a phone number and a faxable order form. 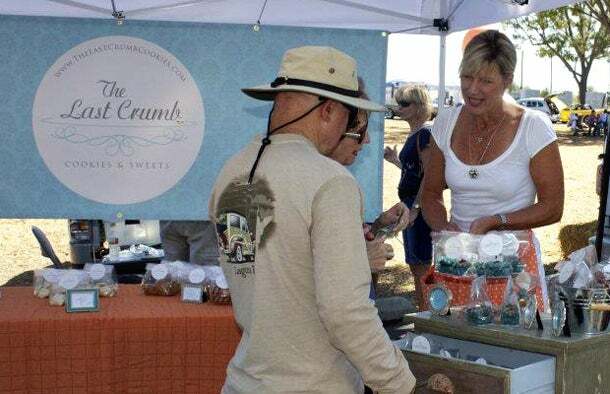 In July 2008, she began selling at local outdoor markets, and her business got a boost from a mention on the Rachael Ray Show in October. Her initial investment was approximately $5,000. In May 2010, Angebranndt opened a brick-and-mortar shop, but the gutsy move proved ill-advised. "Overhead costs quickly outpaced our sales, and we soon realized that having a location in New York would take more time and money than our 2-year-old business could handle," she says. In April 2011, she closed the shop, and refocused on internet sales. She moved to Chicago in August 2011. "By October, I was in a rental kitchen similar to the one I had in New York, and online sales were steady," Angebranndt says. Despite the move, 80 percent of her corporate clients placed their annual orders in December, and she picked up a few more local clients, too. Biggest challenge: Breaking into an already saturated market was tough. "It was hard to differentiate my baked goods from the thousands of others who were doing very similar things, but I eventually found a niche and clients," she says. Running her hobby as a business also was difficult at first. "Buying a few pounds of flour and sugar and baking on a Sunday afternoon is very different from handling the daily demands of orders, phone calls and expenses," says Angebranndt. "I'm still learning how to juggle...it's just a matter of keeping these different priorities in balance so the business can grow." Advice for other bakers: "Expect to work harder than you ever have in your life. You won't be rich, but your life will be enriched by doing what you love," she says. 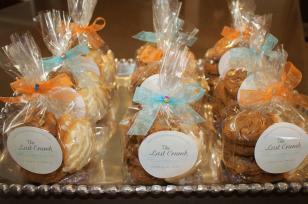 Best part of the job: Hearing the positive feedback ("My dad LOVES your whoopie pies...,"; "I adore your packaging!"). "It makes me feel like I'm doing something right and makes me want to keep going," she says. All-time favorite dessert item: "It changes weekly, but usually something with caramel, chocolate, peanuts -- or all three." Baker who inspires her: Her grandmother. "She's 94 and still bakes Christmas cookies every year," she says. "That's who I want to be when I grow up!" 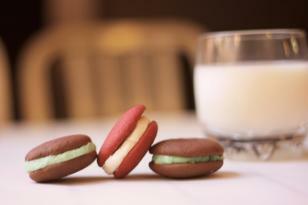 What's next: WannaHavaCookie has new flavors in the works, including a pecan rum bar, a cappuccino whoopie pie and a PB&J whoopie pie.